Those are some very talented dogs. Thanks for the vids. I had a Kelpie growing up, she was a great pup, I was probably seven or eight and had a birthday party at home, my lingering memory was of the Kelpie hearing 9 or 10 kids into the corner of our yard and "holding" them there..... !!! Got a neighbor with an AI Dog. Another neighbor would shoot it if he saw it, thinking it a coyote. Interesting thing is, that dog is always around my place but the shooter has never seen it. Smart dog. Andy, that's what happens when that don't have livestock to work. my Kelpie works the bush cat we have here, she's like a cutting horse buzzing back and forwards giving the cat hell. He tries to fight back, but she is too quick, occasionally she gives a yelp when the cats laid one on her. Excellent idea. Lots of folks would catch that trend and own Kelpies. Carl, AI Dogs are so beautiful! Dogs that are close to their wild roots have held a special place in my heart for a long time. Growing up, my uncle used to take me to a coyote farm. I loved going. Can't agree more, Lora. Growing up in the woods, I'd occasionally trip to the presence of having company, unknown, rarely seen, but there. Over time I came to love being shadowed by my curious friend and often looped my route so as to come across my tracks again and figure out what was following me. The revelation was inevitably coyote, and thus began a sort of courtship where I brought food to drop (for my shadow) and an increasing occurrence of her following me. That led to more sightings, less fear on her part, and a long friendship (of sorts). Those are days I will never forget, and led to my wanting an AI dog ...to cement the friendship. Are the AI dogs workers or hunters? I imagine that hunting would be the most logical, though there is a fine line between working dogs and hunting dogs. They were (are) both. 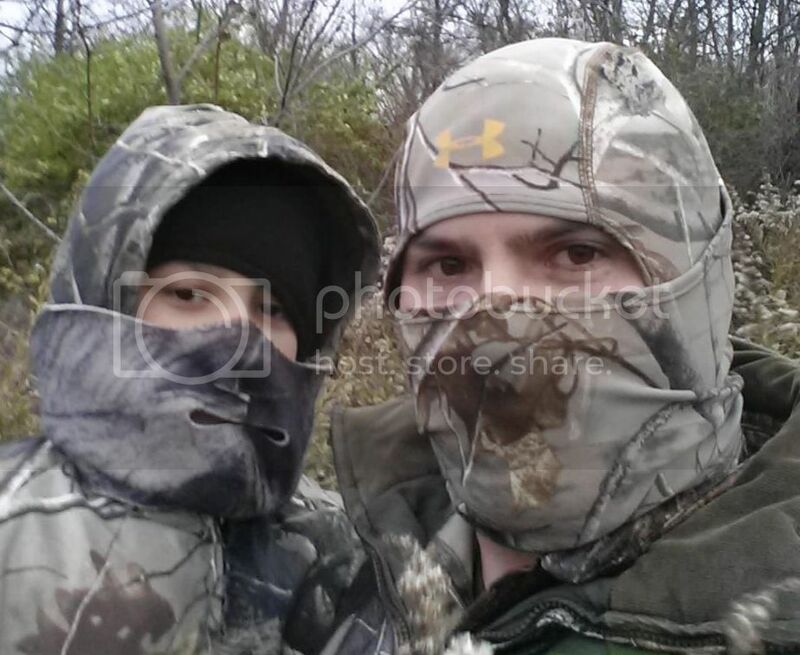 Good (not great) noses, they are more sight hunters than cold trail workers. When I get one, she will be kept close to avoid hunters thinking "coyote" and shooting her, because that would land me in jail. 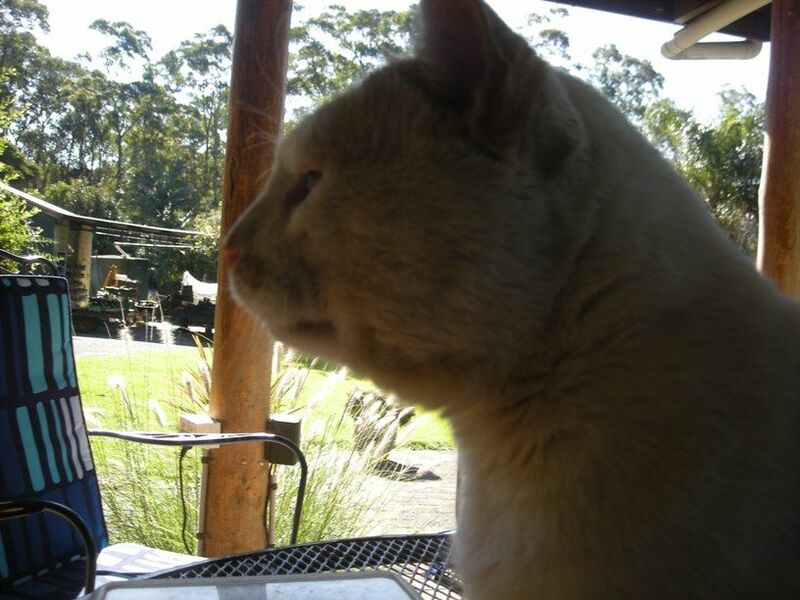 I caught old Butch sunning himself on the table out on the verandah.